Firing up the grill for a backyard barbecue is one of the many things summer is good for. Nothing beats the taste of grilled food, be it thick, sizzling cowboy steaks, shrimps skewered on rosemary branches, slices of vegetables or corn still in the husk. But it’s not enough to just have a grill. The cook will need a station near the grill to prepare food for cooking, to store plates utensils and to serve the food or let it rest after grilling. There are several grills that can be bought with their own stations, and they can cost a good deal of money. Indeed, the fanciest ones are called outdoor kitchens. As their name says, they come with everything an indoor kitchen comes with save a propane or charcoal powered grill. 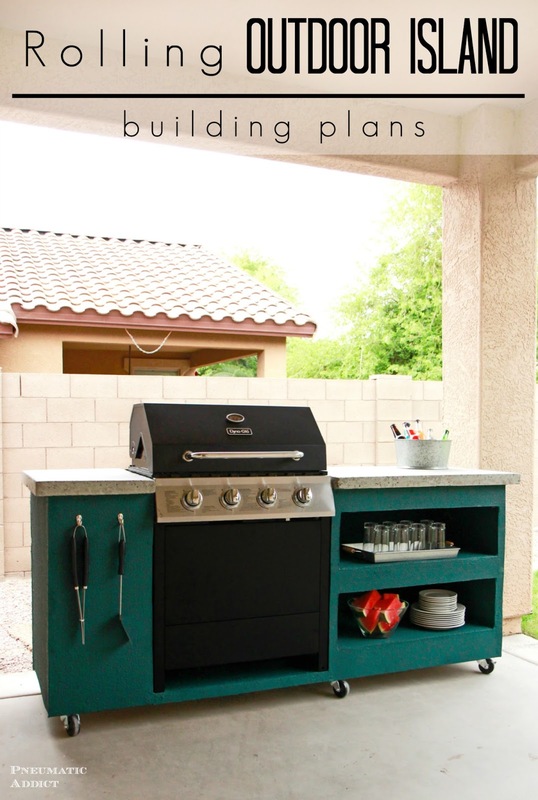 But why break the bank when the homeowner can put together a custom-made grill station with materials that can be had for very little money? Indeed, there are salvage yards that are eager to give away old lumber and pallets that no one has any use for. Check out some of the most creative DIY grill station ideas! 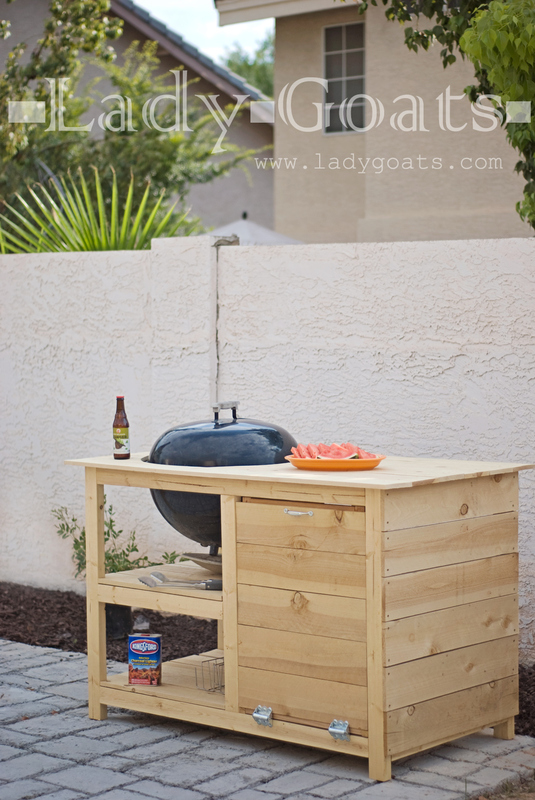 The first of the DIY grill station ideas has a gas grill along with convenient shelves and bars. The casters at the bottom of the unit make moving it around the property, whether to be closer to the pool or the patio, a cinch. The counter has enough space for ice buckets and a buffet. 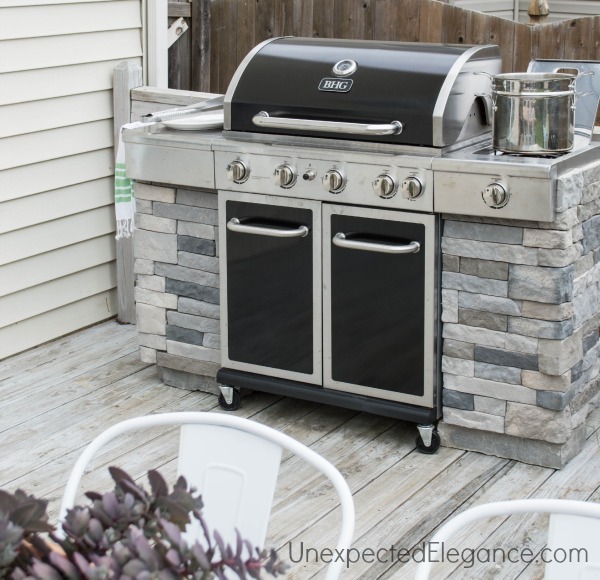 This grill built of gray and white bricks complements the overall look of the backyard even when it’s not being used. A homeowner might even be tempted to leave it out during the fall and winter because of its beauty. 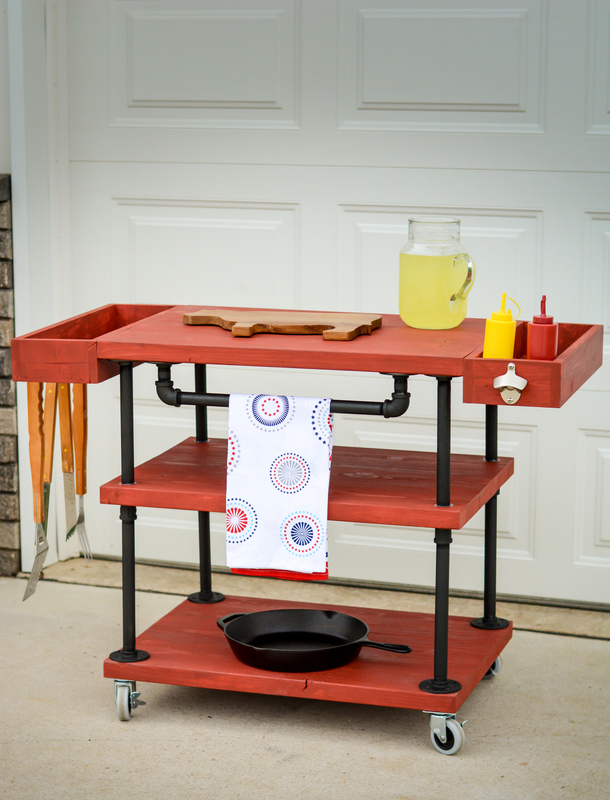 Casters make this grill station easy to move around, and a cabinet beneath the grill provides space for cookware and utensils. This DIY grill station is simplicity itself. The station has enough shelves and drawers to store just about everything that’s needed, from flatware to table linens to plates and cups. The counter has a clever hole in it where the grill itself can be dropped much like a drop-in sink. Though this station doesn’t contain a grill, the handy wheels make it easy to take to the area where the grill is located. Bars and supports that resemble iron plumbing pipes give this station an industrial feel. The station itself is roomy but still small enough to be stored in a closet or tiny garden shed during the off-season. 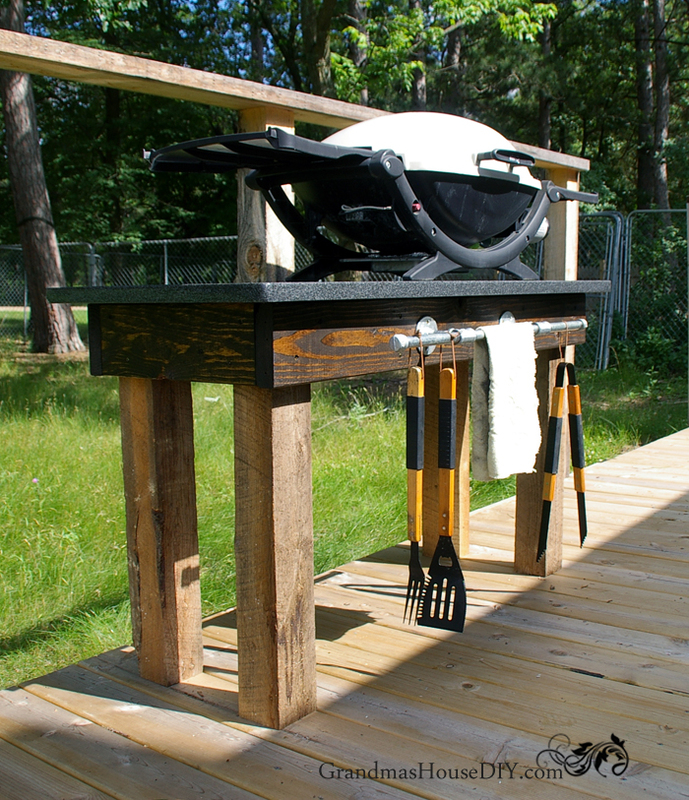 A grill with “ears” goes well with a station made of an old table or desk that has served its purpose inside the house or planks salvaged from a lumber yard. This attractive and economical grill station is just the thing for a country home near woods or a lake. The knots in the wood of this unadorned DIY grill station make it an object of interest in the yard or on the deck or patio. Place it right next to the grill to serve, prep or hold food and beverages. Add hooks and a bottle opener to make things even more convenient. 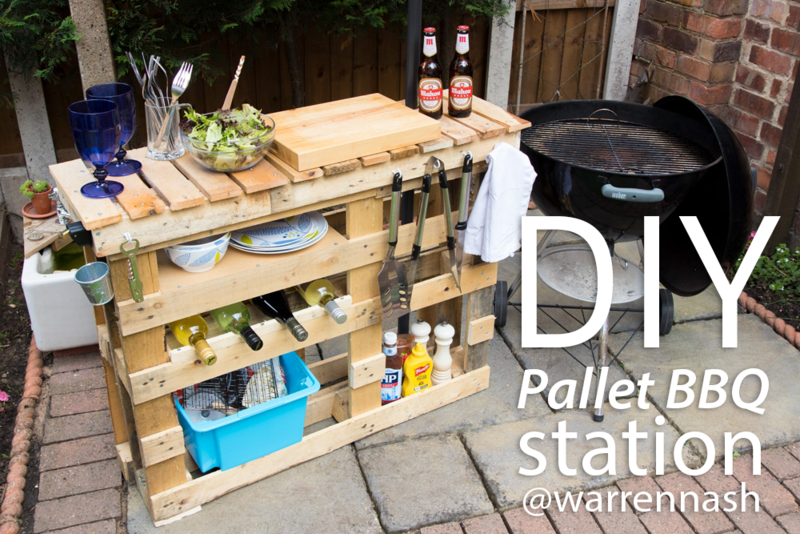 Everyone knows that pallets are useful, but who knew they could be so attractive as one of the DIY grill station ideas? They’re put together in a way that allows room for everything from drinkware to cutlery to bottles of wine, condiments and dinnerware. 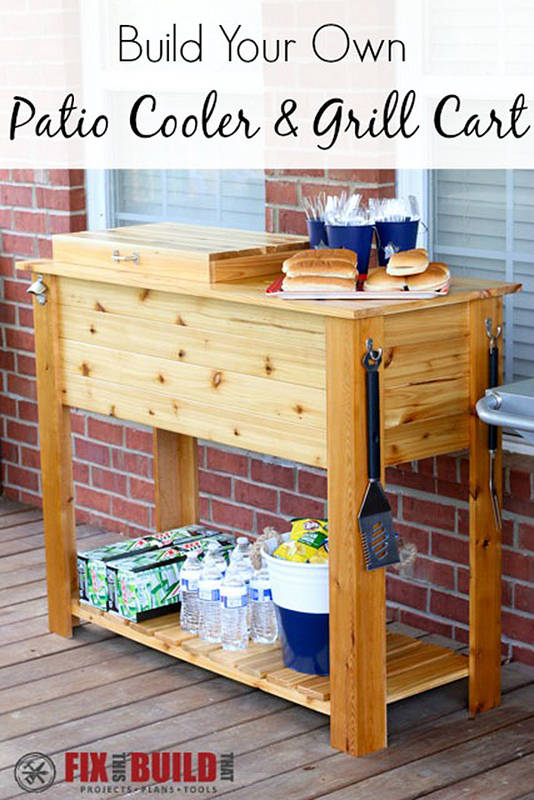 This unique DIY grill station is bound to get compliments from the guests.